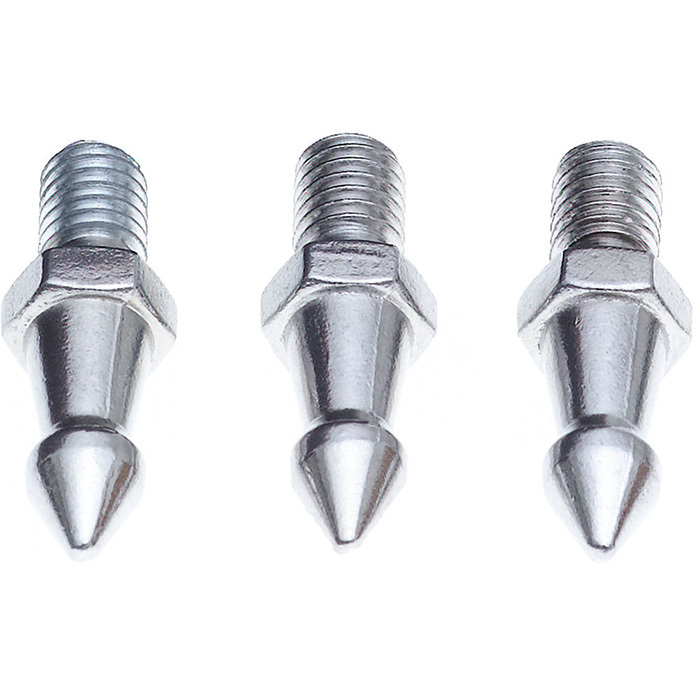 These Stainless Steel Spike Feet (Set of 3) from Benro are compatible with Benro & Induro tripod series 1, 2, 3, and 4. With their standard 3/8"-16 screws, they'll also attach to any tripod with corresponding threads in its feet. The feet tighten into place by using a wrench (not included). The easy-to-use stainless steel spikes provide additional stability for your camera support when you're shooting on softer terrain. Benro Video Monopod A38FBS2 Black new 2014 A38FDS2 ? ?